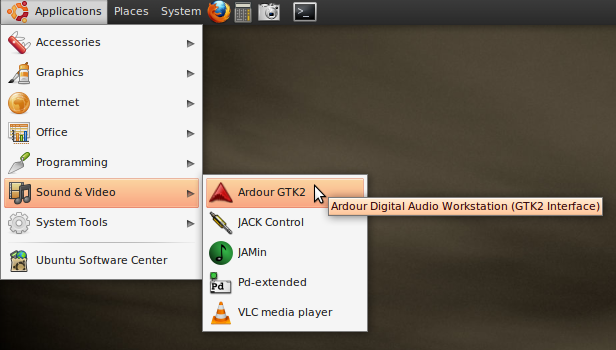 Now that JACK and Ardour are installed, and JACK has been successfully started, you can start up Ardour. Click on ArdourGTK2 and the program will start. 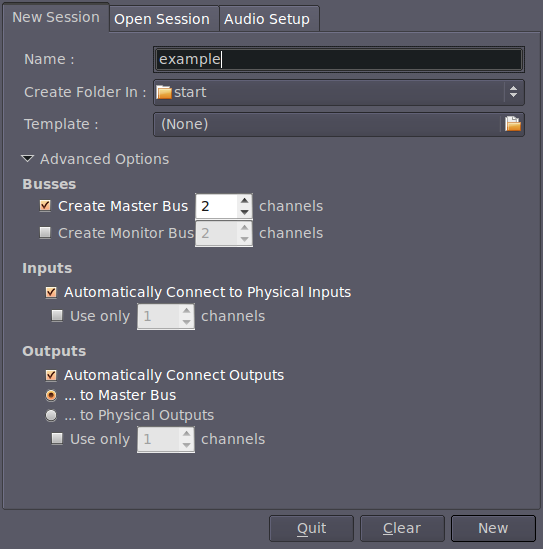 Once you have started Ardour, the Session Control window shows up. Name your new project and click on New. This same window can be used to open existing sessions by clicking on the Open Session tab.